I was cleaning up some old files this morning and came across the monthly newsletter we published back in January 2002. In it I had written about the story of two friends walking through the dessert. This story still resonates with me to this day, so I thought I would share it again….. ……..Learn to write in the sand. 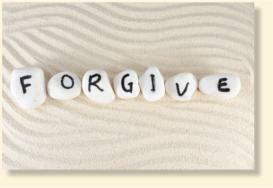 This entry was posted in Forgiveness, Moving On and tagged Divorce, forgiveness, letting go. Bookmark the permalink.